Francisco Moreno holds a doctorate in Molecular Biology from the Universidad Complutense de Madrid. He has been Manager of basic and preclinical research in the Research and Development Department of Laboratorios Serono, S.A. In the same company, he has also worked in the areas of business development, strategic marketing and planning, including the negotiation of licenses in Spain and Europe. He has been founder of several companies, among which stand out: Placement Pharma, S.L. (1994), specialized in business development services, competitive intelligence and knowledge management in the pharmaceutical sector; and Mundifarma Consulting, S.L. (2001), specialized in the strategic evaluation of the pharmaceutical and biotechnology markets, management of pharmaceutical development projects and implementation of new technological platforms. 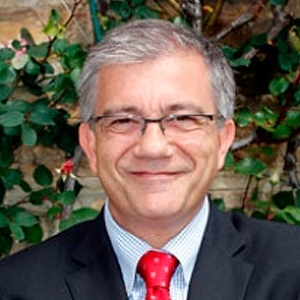 Since 2004, he is Director of the Science and Technology Transfer area of the Botín Foundation.